Kelly is a low worker for a shoe designer named Francesco. However, Kelly has a bigger dream, which is to design shoes for Francesco. Kelly does all she can to get this man's attention, but nothing ever works for her. One day, Kelly meets a fairy on the common streets. This fairy puts a magic touch on Kelly's shoes. Every time Kelly is wearing these shoes she looks more beautiful than a model. She devises a plan to show this beauty to Francesco. At a fancy party put together by Francesco, Kelly appears in these shoes. She looks beautiful as ever. Francesco notices this beauty, and he immediately falls for her. Kelly finally has what she wanted all along. However, the only problem is that she does not know how to make Francesco love her without the shoes. Kelly must make some crucial decisions, which may determine her future plans. 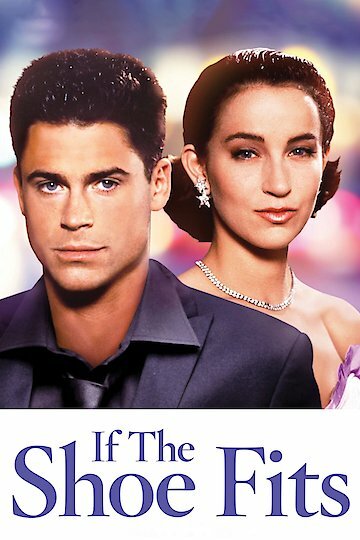 If the Shoe Fits is currently available to watch free on Tubi TV and stream, download, buy on demand at Amazon, Vudu, Google Play, iTunes, YouTube VOD online.